Have you ever searched the Spoonflower Marketplace looking for the perfect design for your next project and stumbled across a cut and sew softie pattern but just didn’t know who you could gift it to? I’ve certainly experienced this while looking for designs to use for a project and discovered a handful of absolutely adorable plushie patterns that caught my imagination. Weeks later, the plushie patterns still popped up in the back of my mind in the form of dancing pigs and I knew those patterns had to be mine! 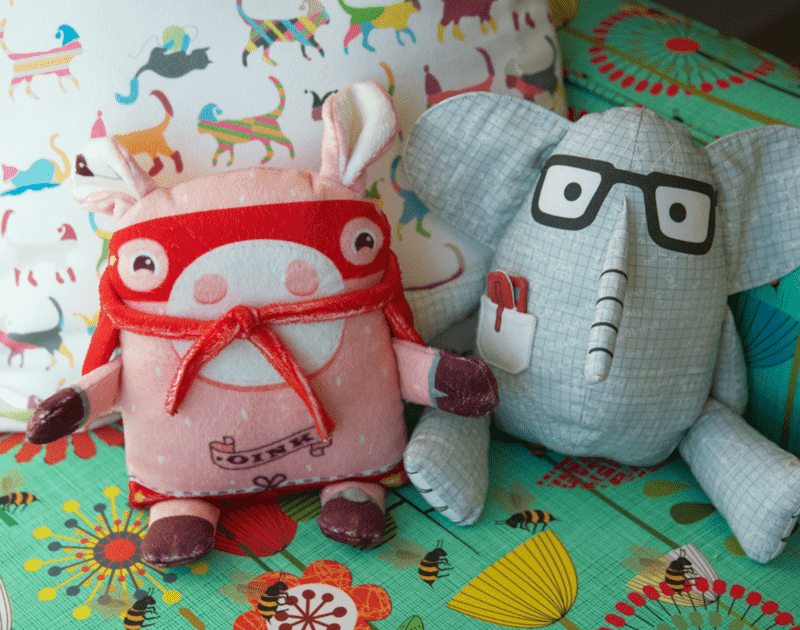 It’s pretty tough to have a bad day at work when you’ve got an adorable pig plushie and elephant waiting to greet you on the couch! However, there was just one problem: the current fabric real estate in my not­-so-­spacious apartment was running low and these plushie pals would need to be gifted soon! Luckily, thanks to the creativity and generosity of Australian native Pip Lincolne over at Meet Me at Mikes, my plushie pals would not be left without a home. 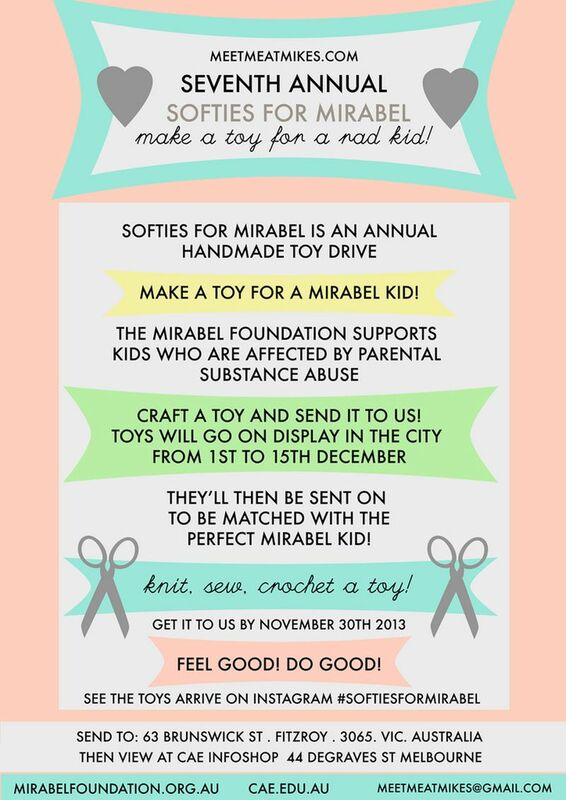 For the past 9 years, Pip has been creating homes for plushies through Softies for Mirabel, a handmade toy drive for children supported by the Mirabel Foundation. While Australia may be a hop, skip, and a jump from the Spoonflower headquarters in Durham, North Carolina, we’re always looking for ways to contribute our creative skills to bring a ray of happiness to those who need it most. 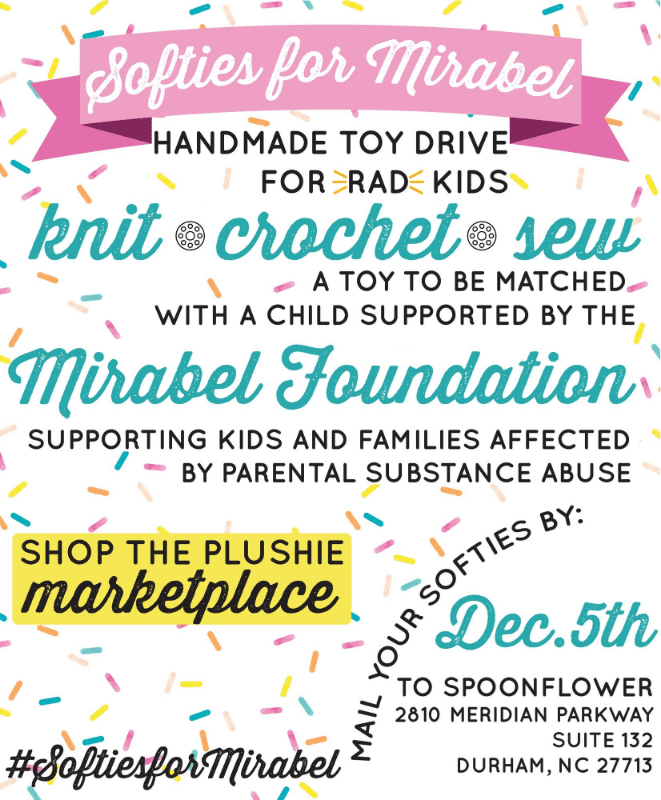 We are pleased to announce that for the 4th year in a row, Spoonflower will be a drop­ off location for those interested in donating to Softies for Mirabel! 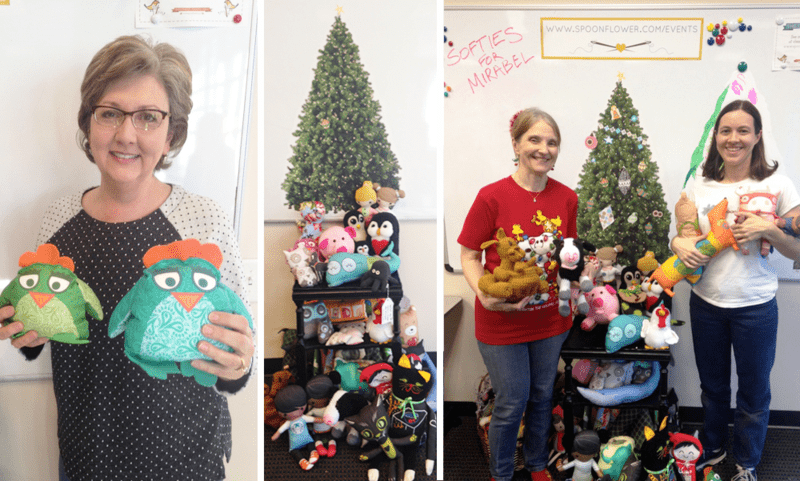 Spoonflower community members proudly display their softies donated during the 2014 Softies for Mirabel handmade toy drive. Pins & Needles: Head over to Meetup to RSVP for our upcoming sewing social on November 17th! 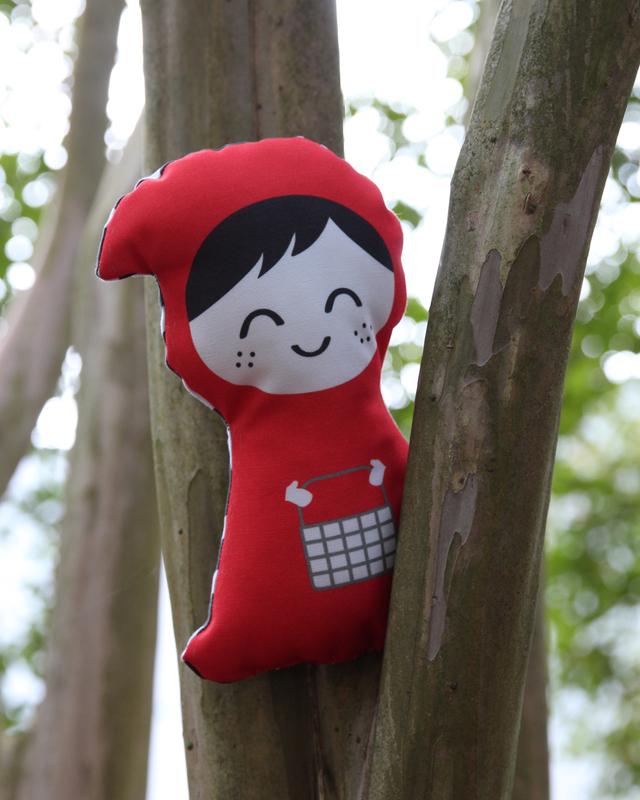 We will be printing a variety of our favorite cut­-and-sew prints for folks to sew in the Greenhouse, but feel free to come and crochet or knit a toy, as well. 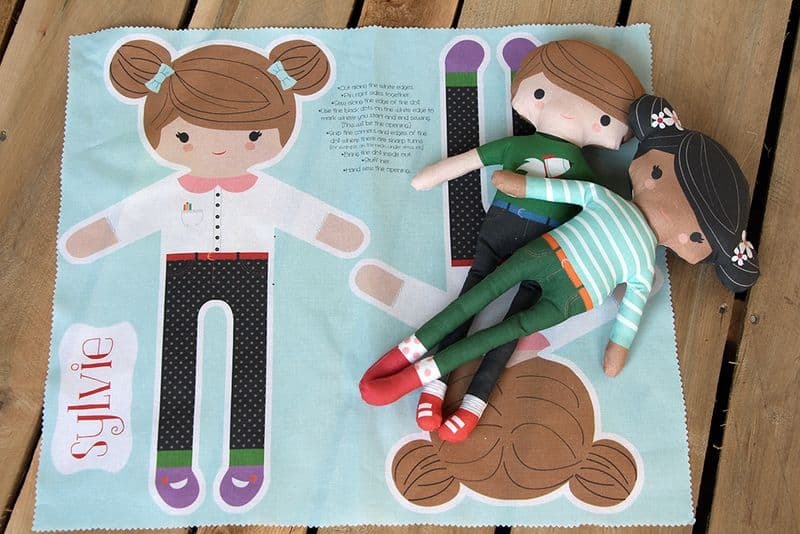 Cut­-and­-sew kits are great beginner sewing projects, so please do bring your friends! 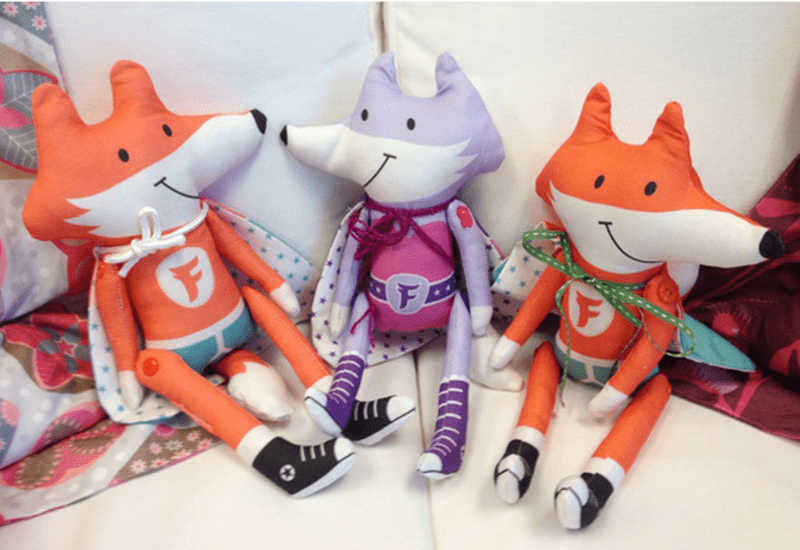 Send or drop off handmade toys at the Spoonflower HQ: We will also be collecting any handmade toy donations here at Spoonflower's headquarters from now until Saturday, December 5th, at 2pm. You can drop by with your donations Monday through Friday, 9am to 5pm if you are in the area, or you can mail finished toys to us. Please include your name and email address with any toy donations so we can keep you posted as we send over our donation and photos are shared! Join the fun and share your softies by using #softiesformirabel and tag @spoonflower in your photos to be featured in an upcoming Softies for Mirabel blog post update!